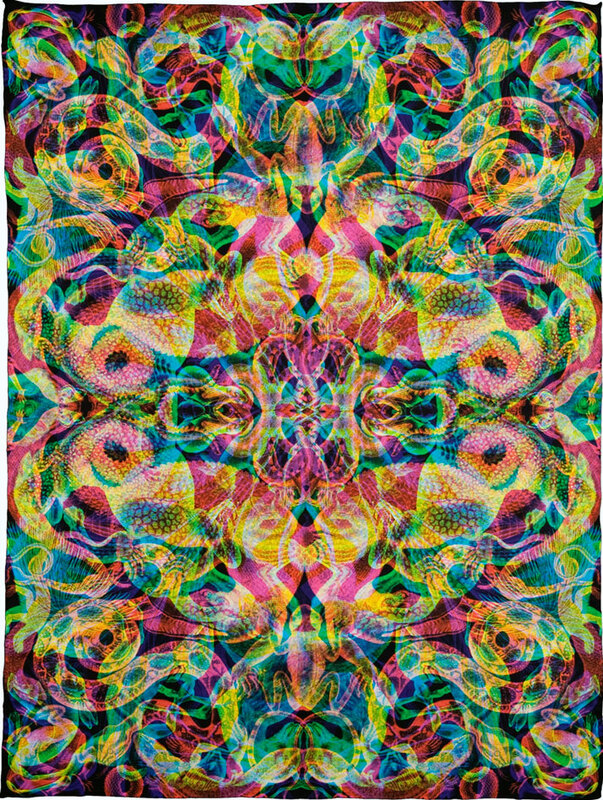 Carnovsky, aka the artist/designer' duo Francesco Rugi and Silvia Quintanilla, are famous for their RGB love and exploration of the ''surface’s deepness''. 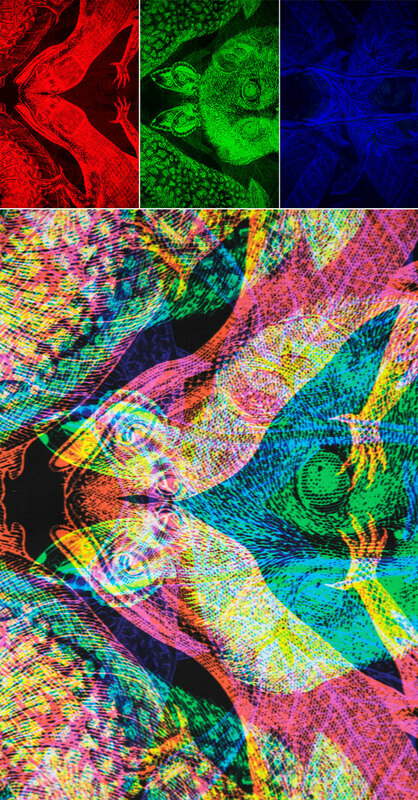 By overlapping three different images, each one in a primary color – in RED, GREEN and BLUE, the blend of lines, shapes and colors is unexpectedly beautiful and surrealistic. 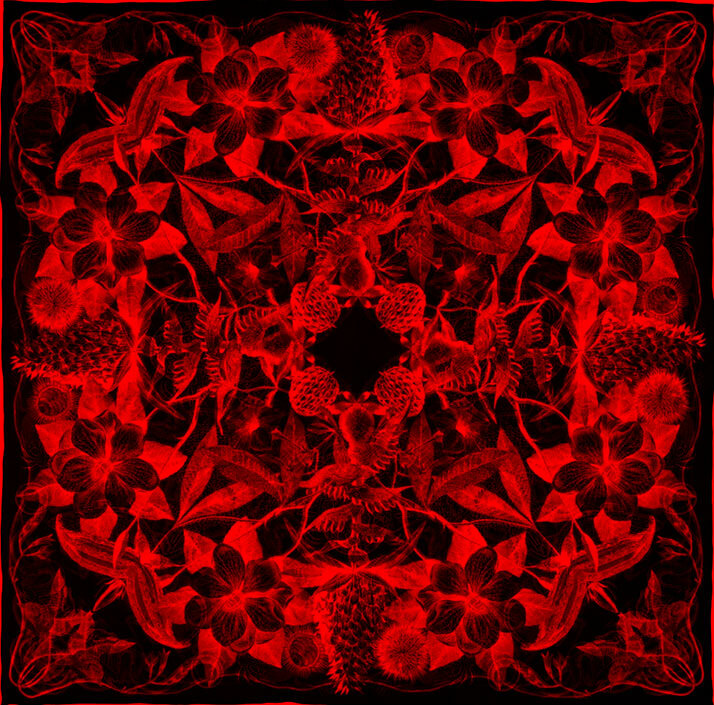 In each image, the three layers almost live together; three worlds that could almost belong to a specific animal kingdom or to an anatomical part, which however, connect simultaneously to a different psychological or emotional status that passes from the clear to the hidden, from light to darkness and from the state of being awake to dreaming. 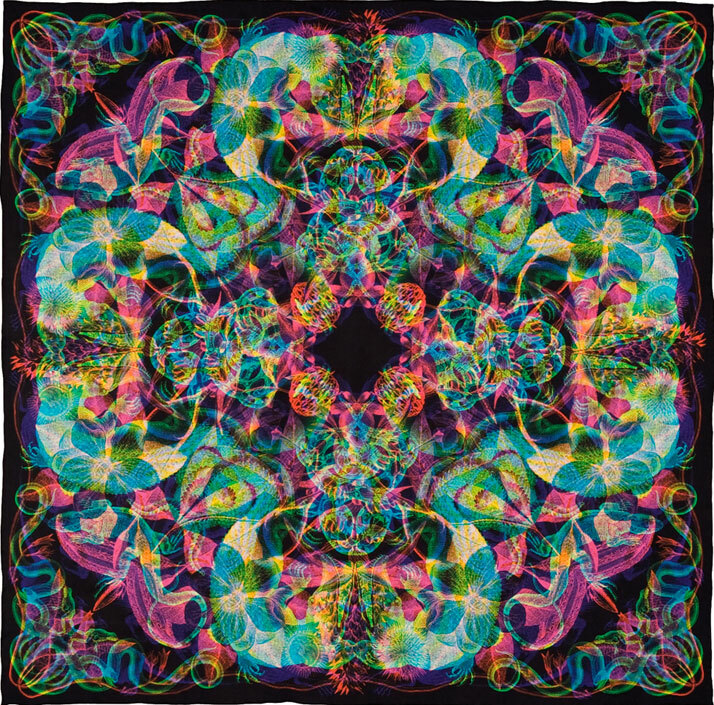 The final result of this colorful mix resembles an experience that is so alive that it is akin to watching a 3D picture with special 3D glasses, where reality blends with fantasy. 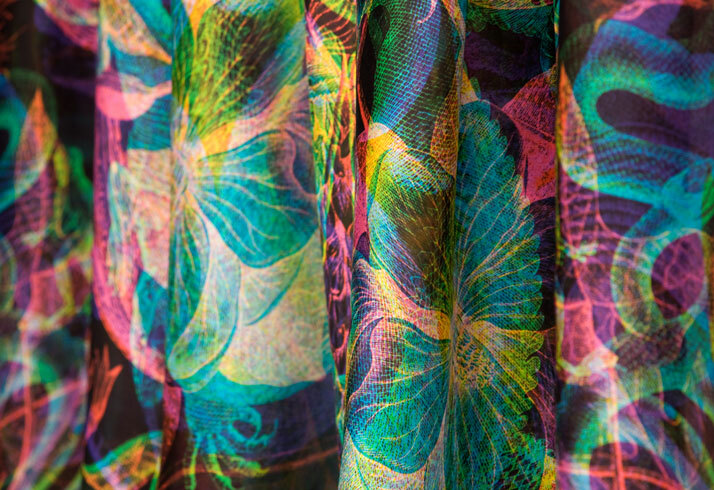 As if this effect wasn't enough in the world of interiors through which Carnovsky have become known for their RGB wallpapers and prints, they recently decided to conquer the fashion world by translating their RGB principles by using a different material. 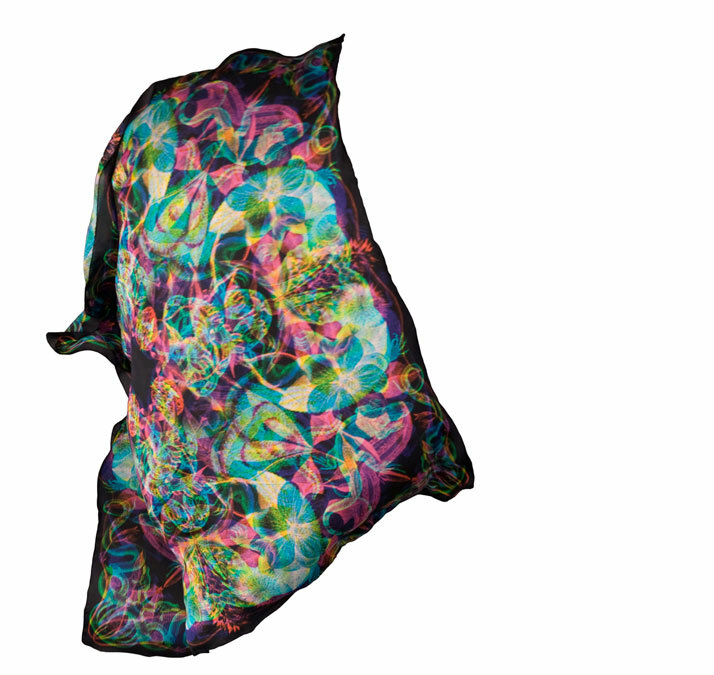 In using silk which retracts incoming light at different angles and simultaneously produces a different color, Carnovsky have created three limited edition silk scarves, Jungla, Bestiario and Rosone, made of 100% Peau d'ange pure silk which are digitally printed, numbered and signed on a silk label and of course made in Italy as the duo is based in Milan. 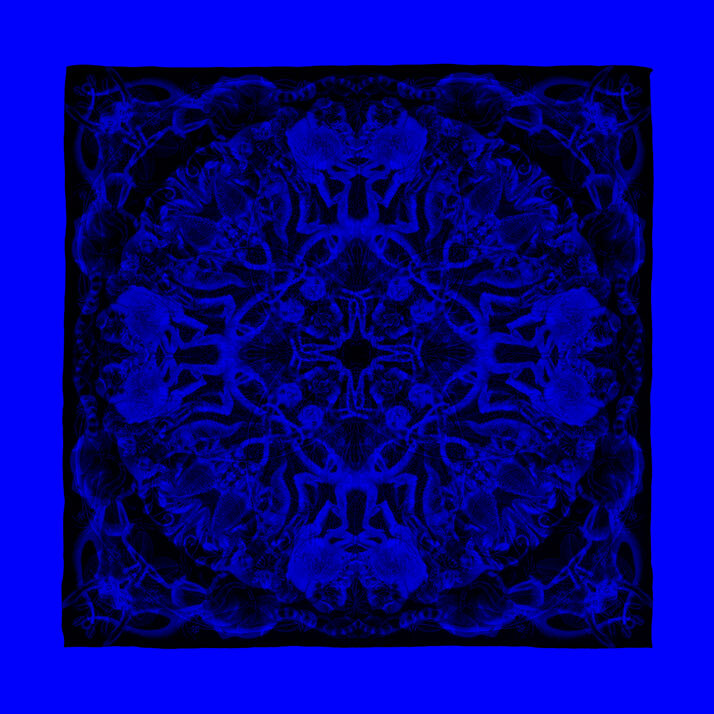 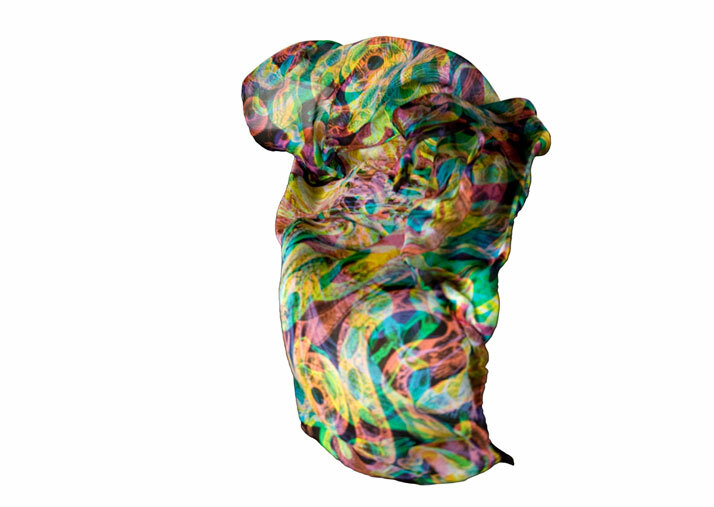 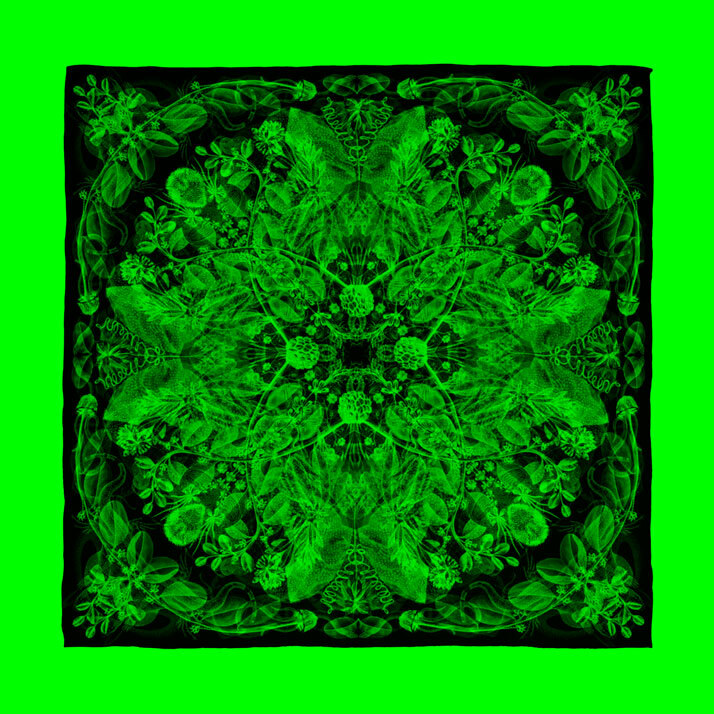 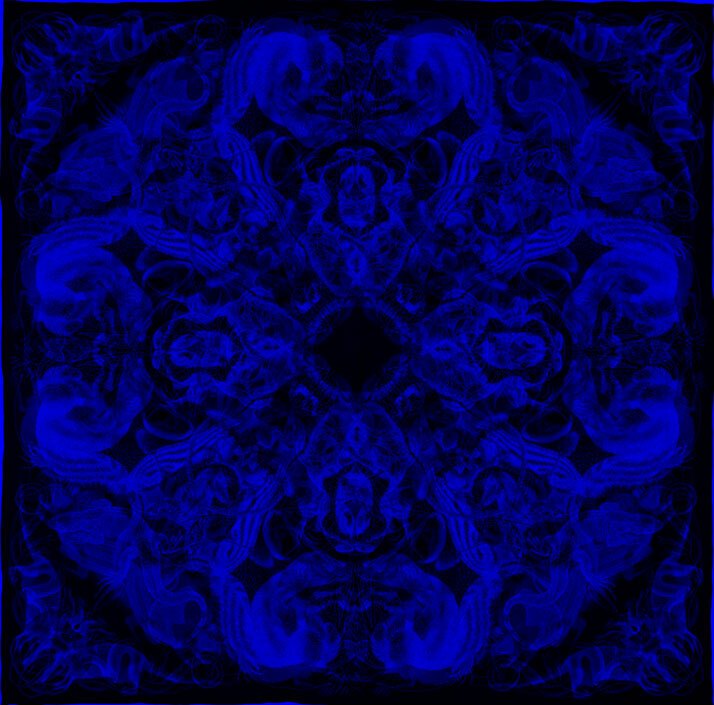 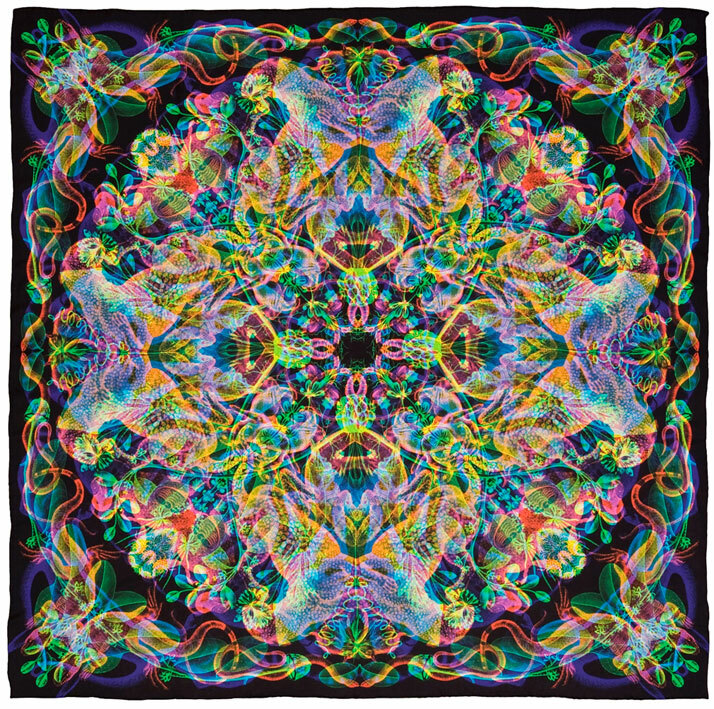 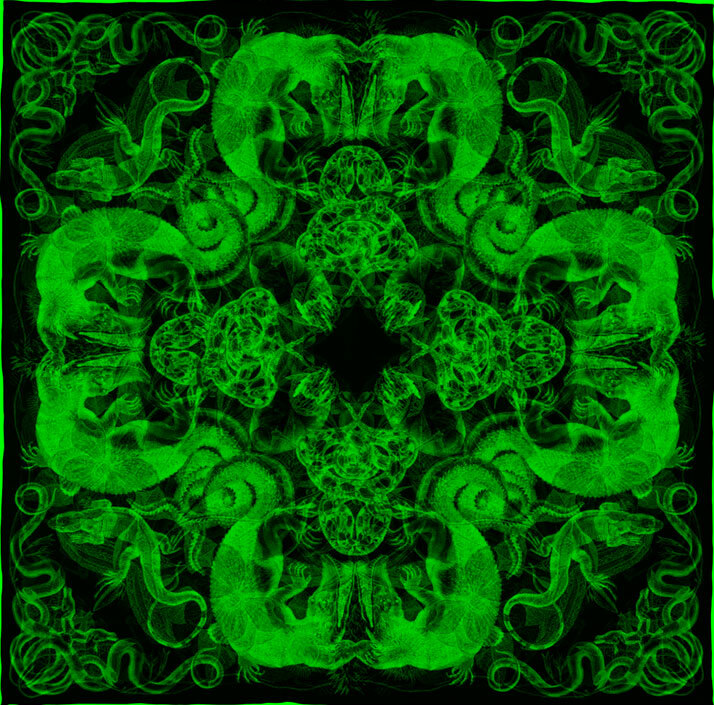 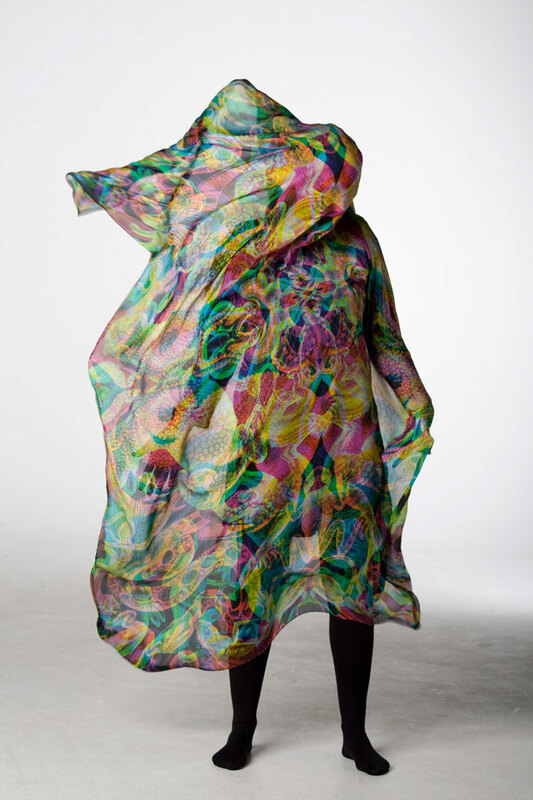 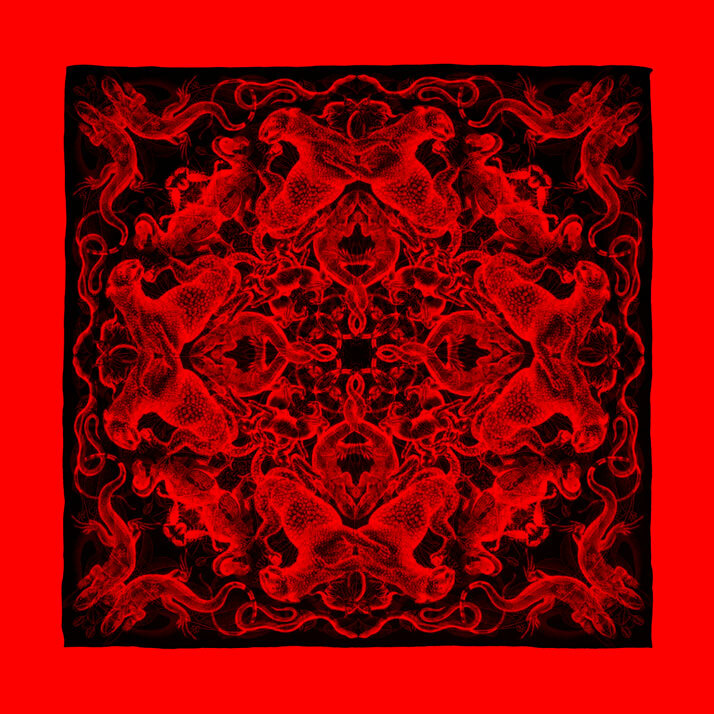 Carnovsky's RGB Silk Scarves Collection is available for sale at No-One e-shop but there are only 99 copies available, so be fast because this collection has the power even to reincarnate Alexander McQueen!